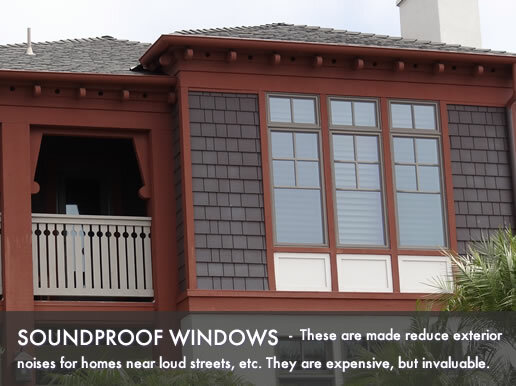 Soundproof windows costs range anywhere between $450 and $1,500 fully installed. If you choose to do the replacement yourself, you can find them for a cheaper price of around $100. These are made to reduce exterior noises for homes near loud streets, etc. They are expensive, but invaluable for homeowners who need to lower exterior noises. There are so many options when it comes to soundproof windows, which is why the price is so varied. How much you pay depends on the type of window you choose, windows from a known manufacturer with higher STC ratings will cost as high as $900 for each window, while should you choose a window that fits your existing frame, you will find them for much cheaper. Entry level windows are normally just inserts that fit behind an existing window. Your current frame will be used along with a ¼" pane, working together these create a space between the panes which dampens any noise. This is a popular choice because it's an affordable option, you can even do it yourself. The most important thing when considering this budget option is to ensure your current window is in good shape - this enables you to achieve the noise reduction you are hoping for when you do add the insert. There is a disadvantage to this option - the insert doesn't always match the existing color or frame. You can always try this option (buy from somewhere that has a good return policy) so it doesn't cost anything to try it out. The mid-range soundproof windows prices vary between $400 and $600. There are two options when you choose this level of window. You'll either be offered a top quality window which is ½" thick pane with a wooden frame which sits behind your current window, or you'll be offered a replacement window with a decent STC rating. The higher end soundproof windows prices are actual high end replacement windows, for example Milgard's Quietline. They have either triple or double panes and come with a STC rating of 42 or above. Installation prices for these windows are very basic. There is no major work required during installation therefore a simple replacement will cost around $50 and a full frame may go up to as much as $250 for each window. Click for our replacement cost calculator. Entry level windows prices start at $250 and top out at $500 for each installed window. You can find these at your local home improvement outlet where you can buy the laminate and glass required and do the work yourself, this is obviously the more affordable choice. Standard level windows prices start at $500 and top out at $750 for each installed window. Higher end windows prices start at $750 and top out at $1,150 for each installed window.